All models are available on request also for cm 210 or 220 long mattresses. Contact us for a Quote. 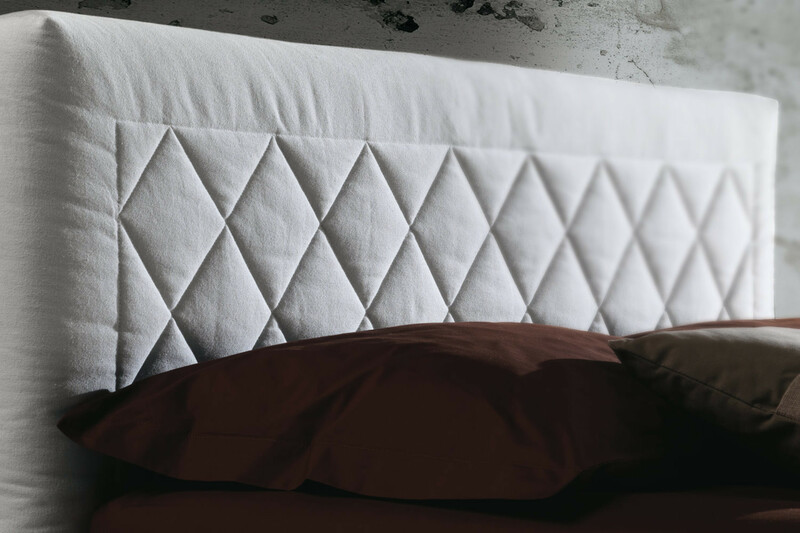 Martinica is a bed with diamond quilted headboard. This elegant decoration is combined with a high but slim bed-frame with smooth cover and squared lines rounded at the corners. Martinica carefully crafted headboard makes it an elegant bed, ideal to add a classic touch to modern master bedrooms. Here depicted in white fabric with a well-finished timeless look, you can also choose bright colours to make it more informal, while it becomes even more elegant with cover in leather or eco-leather, both available in a wide range of colours suitable for any taste. View all the dimensions available in the Specifications tab. Martinica bed is available with or without storage box. 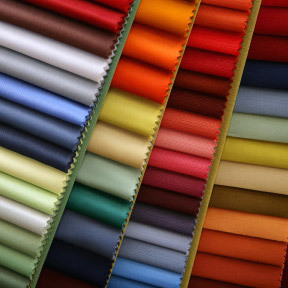 The covers available include fabric, leather or eco-leather in a wide range of colours. The cover is removable. - Wooden Motorised: base with wooden slats and wooden frame, with electric head/toes movement. - Komodo Box: base with wooden slats, metal frame and double lift-up mechanism. All slatted base models are split in two for models from cm 137 on. The bed can be equipped with feet in natural painted wood, wengè painted wood, glossy steel or covered in leather. The feet can be replaced with a set of casters. Martinica bed does not include a mattress. 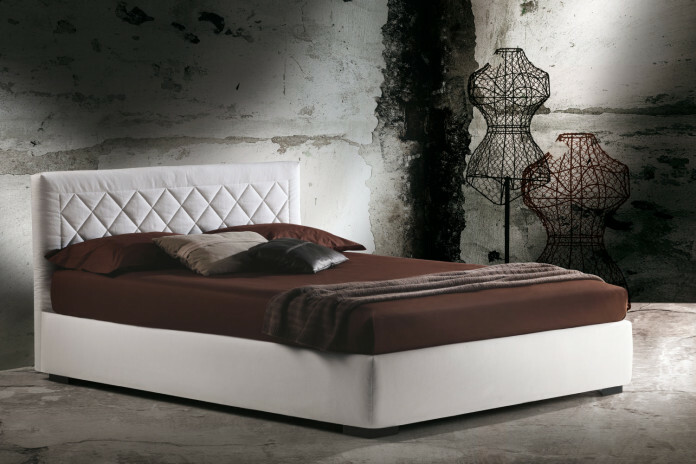 In the dedicated section you can find a wide range of mattresses models with standard or pocket springs, in memory foam or latex. For those who choose two single beds to use them as a double, we recommend to purchase the optional joining plates. Martinica bed is available on request also for cm 210 or 220 long mattresses. Contact us for a dedicated quote. Standard Fixed Slatted Base: perimetral frame in mm 40x30x1,5 rectangular tubular bar with high resistance furniture tube, oven coated with epoxy powders. Orthopaedic slatted base in beech plywood. Wooden Fixed Slatted Base: mm 70x25 painted beech frame with mm 38x8 slats in curved flexible beech plywood finished with non-toxic products and combined with SEBS flexible supports. 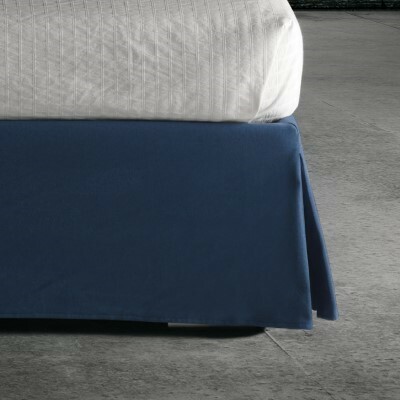 The slats at the base ends are shaped to better support the mattress. High performance lifted Sbs slat holders with double amortisation. Shaped zinc-chromed mattress holders. Wooden Manual Slatted Base: mm 70x25 painted beech frame with mm 38x8 slats in curved flexible beech plywood finished with non-toxic products and combined with SEBS flexible supports. The slats at the base ends are shaped to better support the mattress. High performance lifted Sbs slat holders with double amortisation. Shaped zinc-chromed mattress holders. With manual movement mechanism. Wooden Motorised Slatted Base: mm 70x25 painted beech frame with mm 38x8 slats in curved flexible beech plywood finished with non-toxic products and combined with SEBS flexible supports. 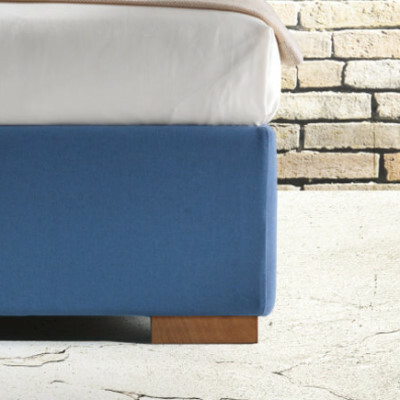 The slats at the base ends are shaped to better support the mattress. High performance lifted Sbs slat holders with double amortisation. Shaped zinc-chromed mattress holders. With automatic movement mechanism, with engine with emergency battery and power adaptor. Standard Slatted Base with Box: perimetral frame in mm 40x30x1,5 rectangular tubular bar with high resistance furniture tube, oven coated with epoxy powders. Orthopaedic slatted base in beech plywood. Mechanism allowing to vertically lift the slatted base. Komodo Slatted Base with Box: perimetral frame in mm 40x30x1,5 rectangular tubular bar with high resistance furniture tube, oven coated with epoxy powders. Orthopaedic slatted base in beech plywood. Mechanism allowing to horizontally lift the slatted base. Once lifted and in an horizontal position the slatted base sticks out cm 32 from the bed structure. The mattress overlaps the side panels on all beds with the exception of the ones with "XL" dimensions.